DVD again I would not be too troubled. I was also reminded that I have some treasures that I have not watched in ages that are such a treat. Granada Television’s “The Adventures of Sherlock Holmes” is one such gem. It’s available on DVD, and stars the late Jeremy Brett as Holmes and David Burke and Edward Hardwicke respectively as Watson. 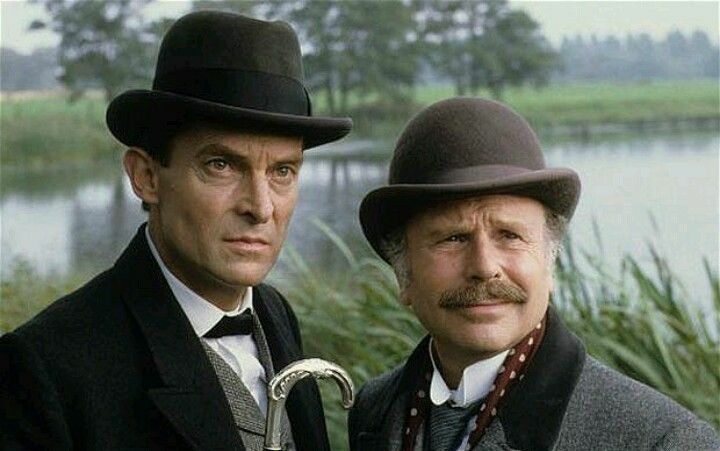 Just as every generation has its James Bond, Batman and Doctor Who, for my generation, growing up in the 1980s, Jeremy Brett WAS Sherlock Holmes, and for two words: Pure Quality. The period details are great, including an entire life size Baker Street set. It’s mainly true to the original Conan Doyle stories, but the real meat is in the performances of Brett and his two co-stars. Brett, who suffered terrible psychological illnesses later in life and died at a mere 61, is just stunning as Holmes, creating an eccentric, captivating character around the framework created by Conan Doyle. Every scene with him leaves you unable to take your eyes off him, with every twitch and flamboyant hand gesture and flinging of himself onto the floor of grand country houses looking for clues adding to the character’s depth. Both Burke and Hardwicke could easily have been blown off the screen given Brett’s performance, but both instead create a calming, grounding and very human foil to Brett, leaving the viewer with a very clear understanding that Holmes could not be Holmes without Watson, who although is not his intellectual equal, brings to the table human skills that Holmes does not possess, in particular Watson’s skills with women, a fearless willingness to get physical if necessary, and simple human decency. Burke and Watson are pretty much responsible for the repairing of Watson’s reputation after Nigel Bruce’s bumbling fool during the Basil Rathbone years. Today it’s normal to see Watson as equal if differently skilled to Holmes thanks to both men. It was easy to believe Holmes and Watson were genuine friends. The series was made over a ten year period beginning in 1984. Great TV you may have missed: Occupied. 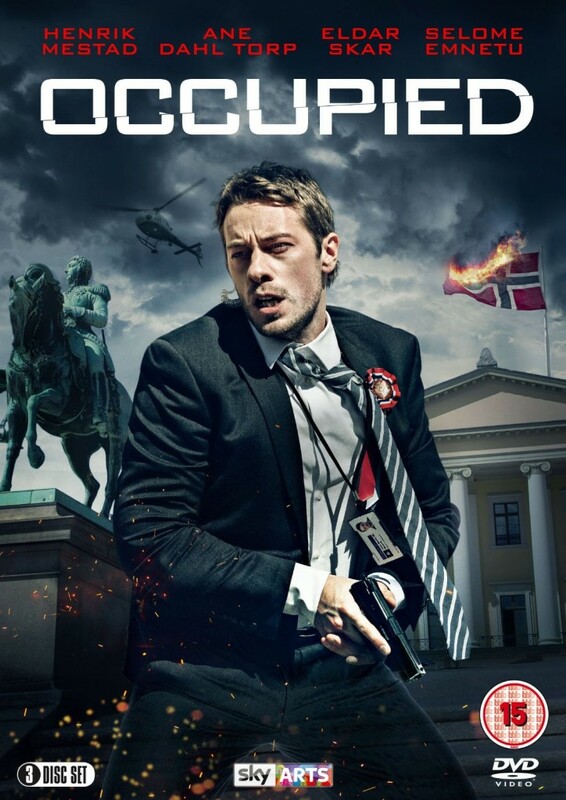 “Occupied” is a thriller brought to us by Norway’s TV2. It tells the near future story of a new Norwegian prime minister, in response to an environmental disaster, ending Norway’s oil and gas industry. This causes an energy crisis in the rest of Europe, which leads to the EU conniving with Russia to seize the Norwegian oil platforms with Russian troops, and for Russia to deploy special forces into Norway itself. NATO having dissolved some years earlier, Norway finds itself friendless. This isn’t Red Dawn in snow. It’s much more subtle, and much more political, as the prime minister tries to navigate between the Russians, who threaten more military power, and patriotic Norwegians who regard him as another Quisling. One aspect the show does very well is its portrayal of the EU, which is selfishly pursuing its own interest yet embarrassed by its own actions, but unwilling to respond militarily to Russian provocation. Funnily enough, although it was made in late 2015 it actually is more believable in the Trump era. It was made on a reasonable budget, and Norway looks great in it. It also has a very catchy theme song by Norwegian singer Sivert Hoyim. The first season is available on Netflix, and a second season was broadcast recently. It’s in Norwegian with subtitles, but the characters all use English to speak with non-Norwegians in yet another example of how good some education systems are! Once again, I can’t understand why RTE can’t do political drama like this.